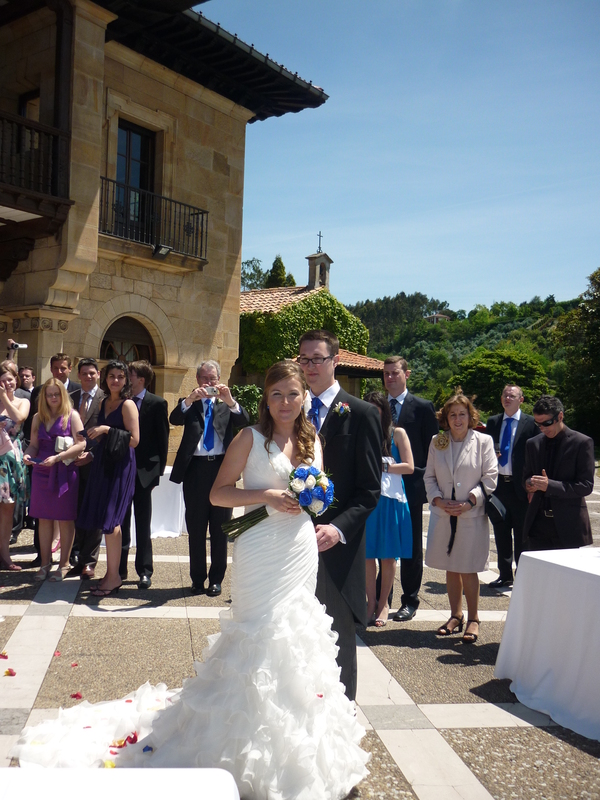 I took some time out of my volunteering for a break for a variety of reasons, I promised my good friend Ian I would go to his wedding, which was in Gijon, Asturias, northern Spain. This hotel had this interesting looking old government building in a square. 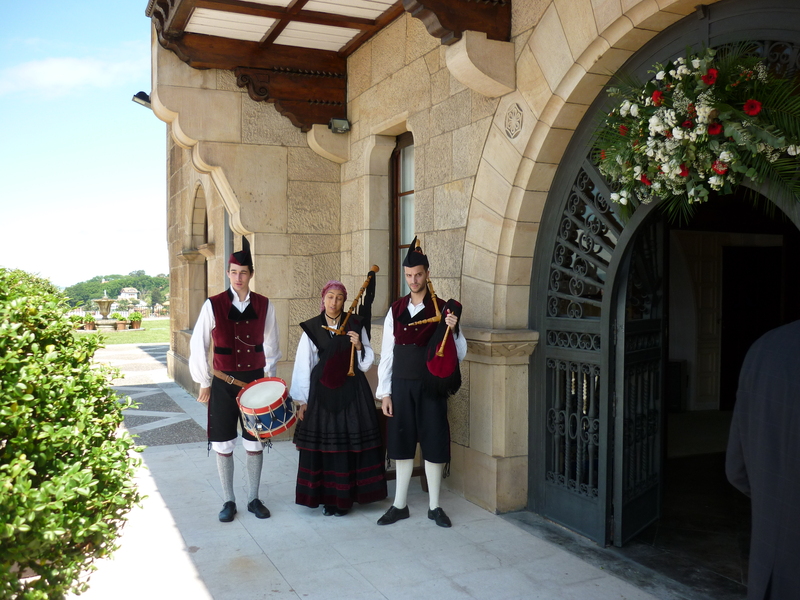 Asturias is quite different from what I imagine Spain to be like, less tourists, bars supplying cider and people playing bag pipes. Its a nice place, and Ian and Veronica had a super day with a beautiful old building overlooking a lot of hills, perfect weather, and got chance to meet up with some people I not seen in a while, as well as get to know Ian’s family, as well as some friends of Ian I went to Iceland with on a lads holiday back in 2005. Ian surprised us all by doing all the work driving people from the (relatively dinky) airport with me, and other guests arriving off an Easyjet flight from Stansted, great as I thought he probably had a lot more to get ready as the groom. One particular point of note with the cider is the barman will hold the bottle above head height and pour into a glass at waist height accurately from behind their backs, its apparently to do with the amount of air that gets into the liquid on the way down but I suspect its more a piece of unique bar showmanship. 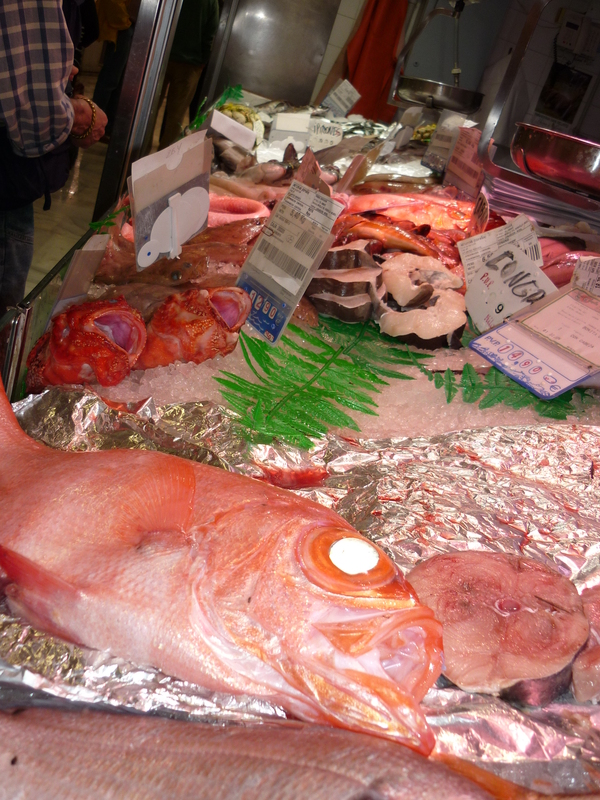 Its worth mentioning the Spanish are seriously into their fish, probably more than the French I reckon. There is some weird and wonderful finned and scaled creatures, such as this pink one with huge eyes at the local market, and tanks of lobsters still alive only a few minutes cooking and preparation to someone’s plate, as Jacobs shows here. 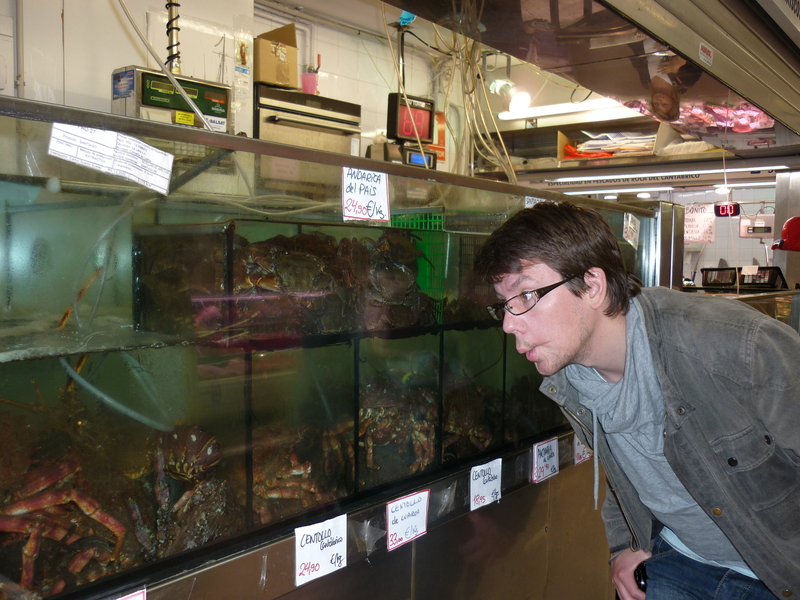 Some of these crabs and lobsters were 30 Euros each in some medium-class restaurants. 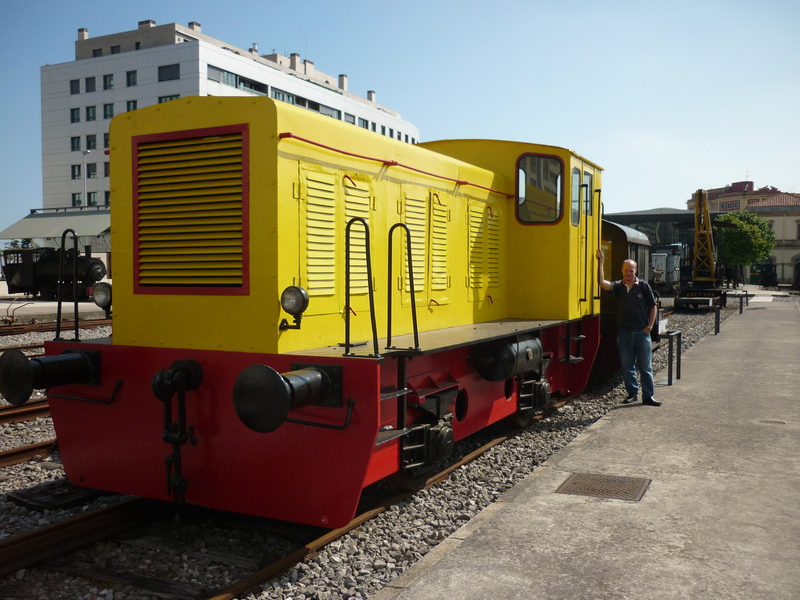 I also visited a train museum with Ian’s dad and sister and friends. The steam trains here are in beautifully restored condition, and the bright bold colours and livery makes them eye catching in familiar Spanish colours. Lastly of course I have to mention the beach. Here the beach is sandy but quite empty, mind you it was quite cold being windy the two days before the wedding, of course chances to go and get cider on a pre-pre-wedding jolly with just the lads, seeing as Ian didn’t have a stag due to cancelled flights because of volcano ash.